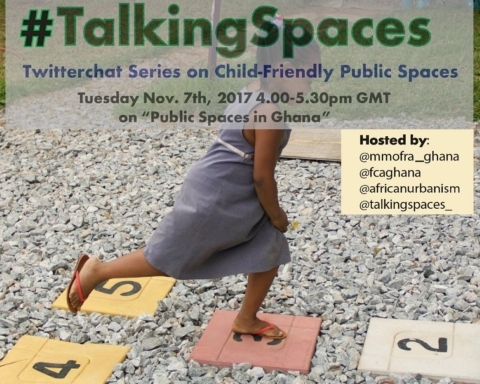 “In Ghana, what attracts people to places isn’t the [physical] space, it’s the event,” a friend said to me in conversation a few weeks ago. I was reminded of his words this past weekend, standing at the triangle-shaped Otublohum Square in Jamestown. 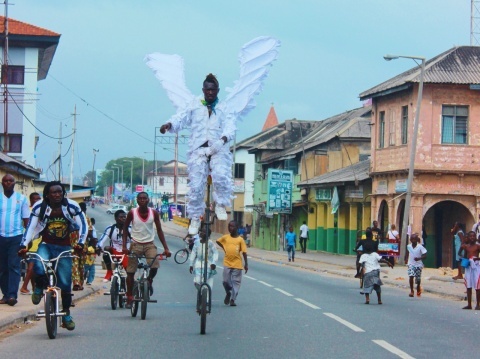 As I watched, bike stuntmen paraded up and down High Street, doing tricks on their bikes while the rapt audience — residents young and old, expats and visitors from throughout Accra who cheered, their eyes glued to the spectacle. This was the third annual Chale Wote Street Art Festival. Bicycle stuntman with angel’s wings. Photo Credit: Victoria Okoye. The festival is a series of mini events (photography and art exhibitions, street stencil works, graffiti and mural paintings, theatre, dance, and spoken word performances, live music and DJ sets, more music, more dancing, and more spectacles) that is free and open to the public. It happens every year in the historic district of Jamestown in Accra. 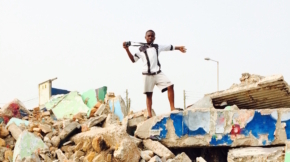 Video montage of 2013 Chale Wote Street Art Festival by FashionistaGhana. According to ACCRA[dot]Alt, the lead organization behind the conception and organization of the festival, “Chale Wote” translates to “man, let’s go” (taken from Ga, the local language spoken in Jamestown). It also refers to the slippers/flip-flops that people of all ages and backgrounds wear so commonly. Jamestown is a vibrant, culturally dynamic community, but on the whole, a neglected area in terms of local economic development. It’s a historic area of Accra, home to an indigenous fishing settlement that continues to supply both local and international demand. It was the seat of the British colonial administration. 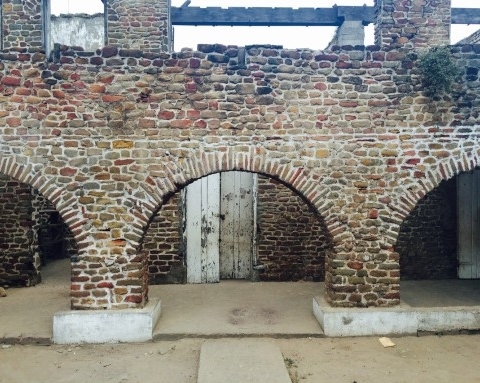 James Fort and Ussher Fort (former prisons in Jamestown) and the Brazil House are all internationally notable cultural sites found here. Jamestown has often been labeled a “slum”, but it’s more than that. 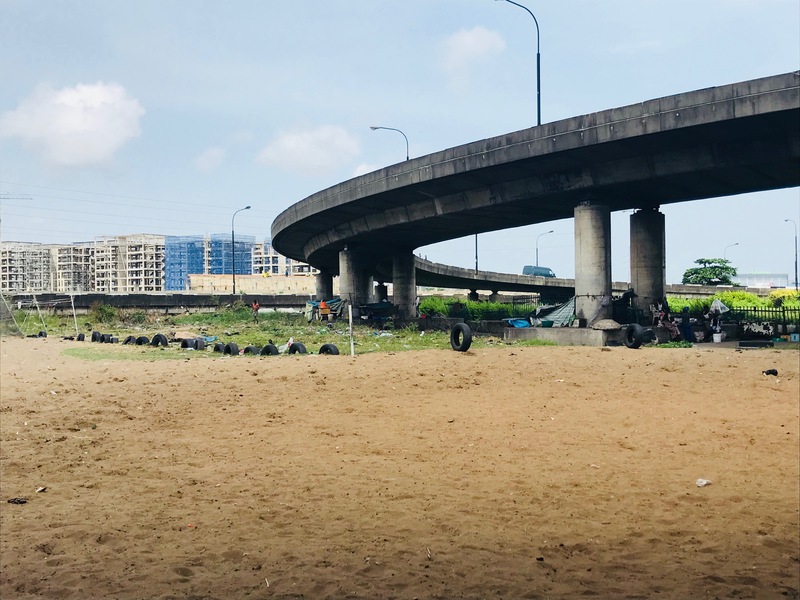 It’s an area where its residents, on their own and outside the lines of government formal development planning, have played a huge role in the organization, re-organization and use of space. Old buildings (many constructed as early as the late 1800s) have been converted into workshops and storage spaces, former market buildings into homes with living additions. Homes have expanded to encompass familial living structures and commercial spaces. Family homes, which physically represent the familial bonds and networks that hold this society together, are plentiful. In addition, there is wealth, both financial and cultural, in Jamestown. By hosting the festival in Jamestown, the organizers make a deliberate attempt to generate widespread interest in the community, and they use art as a transformative tool to improve it. But they also provide a new lens through which to appreciate how public spaces in the city can work, and perhaps should work, in line with community character and behavior. Video montage of 2012 Chale Wote Street Art Festival by ACCRA[dot]Alt. Jamestown is built up, teeming with people, activity and structures, both permanent and impermanent. As a result of economic dynamics and planning priorities, traditional public spaces (parks, squares, and other types of recreational areas) are few and far between. Social and community activities flood into the open areas that do exist: streets, sidewalks, unused buildings and car parks, for example. These spaces, in terms of usage, become fluid: Streets, roads and (temporary) open spaces become the stages and venues for football games, races, dancing and ceremonies; sidewalks become front row seats for people watching, promenading, and meetings, conversations and impromptu reunions. Importantly, these are democratic, equitable spaces open to everyone – most, if not all, can participate. All can observe. The sidewalks, the roads, they belong to everyone and no one, and so these spaces are less prone to the methods of exclusionthat are routinely practiced in formal parks and spaces in the city. 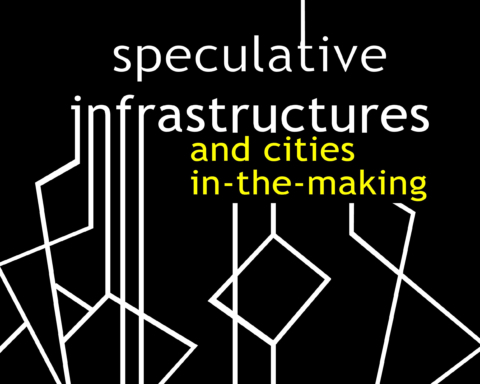 Space functions depend on the day, the time, and the demands of the community and residents. 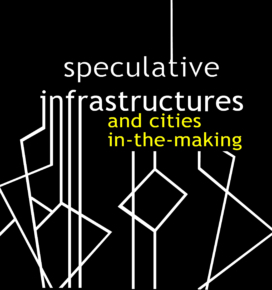 At the same time, there isn’t one solitary public gathering space, but rather many – and so the idea of public space becomes a decentralized reality. Every day, along High Street (the main thoroughfare), multiple public places erupt, shift and change as the day wears on, moving with the community flow. The public space becomes the convenient spot on the sidewalk under the large tree and its expansive shade, or the local chop bar with its television set to the afternoon football match, where people gather round to watch and cheer. It’s even in the middle of the street where residents gather on a lazy evening or the meeting place where an argument or conversation erupts. In a way, this seems to herald back to traditional African urban design and planningconsiderations: Centrally located community spaces and front yard areas of family compounds serve as sites for public gatherings, discussions and meetings, masquerades, ceremonies and community interactions. The challenge to this multi-functionality, though, is that the public and recreational uses of these spaces are always subject to their dominating intended usage. Mourners can appropriate side streets as funeral spaces, for example, but cars still need to get through, especially at essential link roads. Youth can take over car parks and open building spaces for their impromptu football fields, but only when they are free from cars, at the evenings or weekends. These dynamics present an interesting planning challenge and a creative learning opportunity. 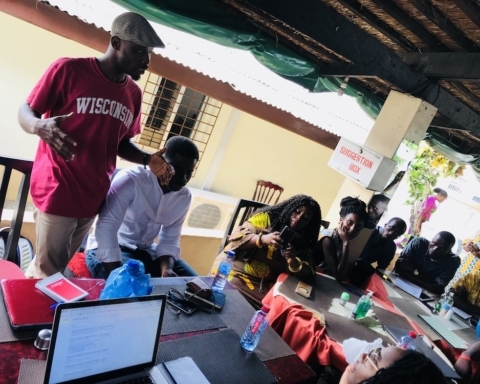 In my mind, this is the lesson encapsulated in the Chale Wote Street Art Festival: When the festival comes to Jamestown each year, it aligns with how the community uses spaces. Just like how the community shapes its social spaces, festival activities are strung along the street from the Jamestown Lighthouse and Mantse Agbonaa (the palace of the Jamestown Mantse, or chief) to Old Kingsway Building. Action is at the street, on the sidewalk, in buildings and along walls. At the same time, the festival, through artistic commotion, creates the magnet needed for bringing the community and social activity into these shared spaces, and celebrates it. Street performance at Ussher Fort. Photo Credit: Victoria Okoye. In addition, this year, the festival organizers succeeded in getting approval from the Accra Metropolitan Assembly to pedestrianize a large portion of High Street, enabling activities to safely pour onto the street, be sited on the street, and to remain more connected. So although temporary, this formal approval legitimized these informal public spaces and the spatial dynamic that is at the heart of Jamestown’s social organization. It’s not about the physical space, my friend said, it’s about the event. For planners, it’s about supporting the existing community activity and vibrancy that takes place in these spaces, where people come together and form their sense of community. So now the question becomes, how can we incorporate this into our vision for the city, and our planning to achieve it? This article was originally published at UrbanAfrica.net by Victoria Okoye.